Antonio Salgado, Debora Cunha, Trevor Brock, Shanice Guthrie, Ariam Hernandez and Trinity Stratemeyer. 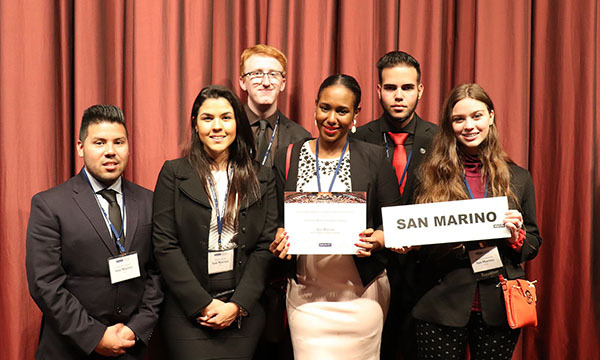 Palm Beach State College’s Model United Nations team was recognized for the fourth straight year for the quality of their performance at the National Model United Nations Conference in New York. The six-member team received Honorable Mention, one of three tiers of awards, for their representation of San Marino, a country in Europe. During two conferences each spring, more than 5,000 college and university students simulate the functions of the United Nations, which brings together diplomats from the approximately 200 countries of the world to pursue peaceful and multilateral solutions to the world’s most pressing issues. This year, PBSC’s team, selected after a competitive collegewide process, attended the first conference March 24-28 with more than 2,500 students from around the world. Professor Terry Randolph, department chair of social sciences on the Boca Raton campus and the team’s advisor, said he is “very pleased” with their performance, which placed them in the top 30 percent among the participants. “Our team is much smaller compared to most, and our students must prepare and participate as an extracurricular activity, whereas many of the other students get to prepare as part of classes or programs. Most of the students are university-level students. So, it is quite an accomplishment for our students to be recognized as top performers among them,” he said. 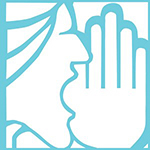 Most important is the exposure and experiences students gain from attending the conference.